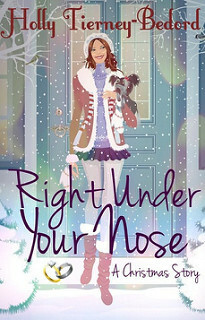 I am organizing a review opportunity for Right Under Your Nose by Holly Tierney-Bedord! You can request a copy for review in mobi format. This review opportunity is now closed and no longer open for new sign-ups. Holly Tierney-Bedord lives in Madison, Wisconsin. She’s the author of over a dozen books, from thrillers to chick lit to cozy mysteries.